Our month of our favorite animated scenes continues! Last week Jay from Life Vs Film brought us a scene from Wall-E, but this week I'm going old school. 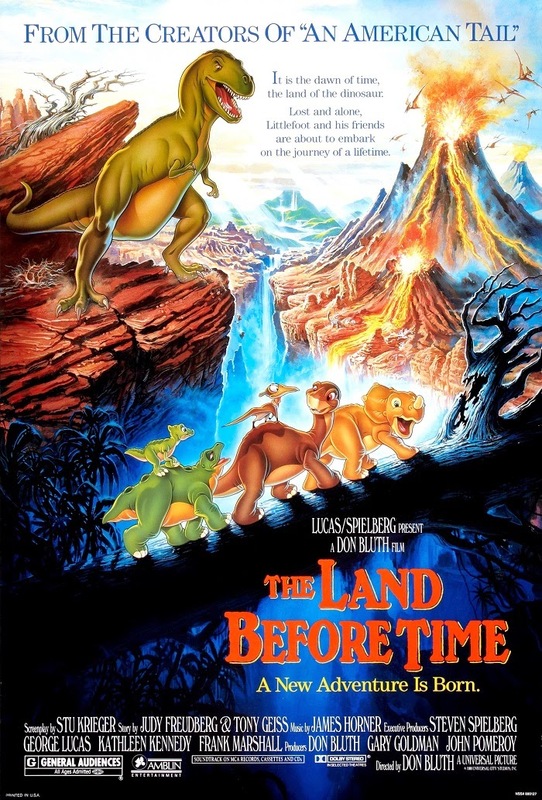 Some of you may not remember The Land Before Time, but it's one of my favorite animated movies and hearkens back to a time when animated films were gorgeously hand drawn. 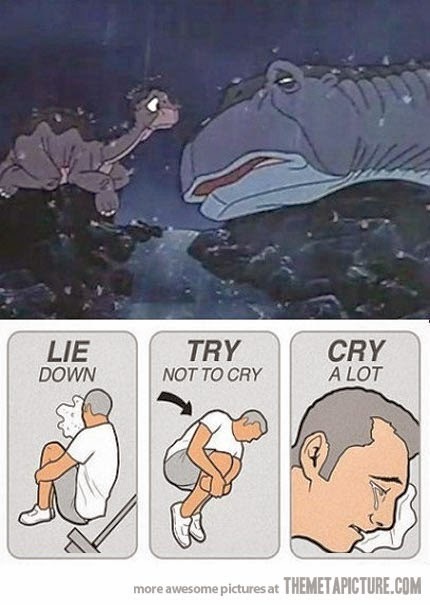 Unfortunately, I'm sharing not only one of TLBT's saddest scenes, but possibly one of the saddest scenes in any cartoon. I'm not sure what my deal is with sad cartoon scenes. I promise I'll share something happy later this month. Or, at least, not sad. It is really interesting to think that this scene could've very well been the first time we saw an on-screen death. I remember watching this movie over and over as a kid. And this scene, my god... so sad. If it is the first time I saw an on screen death I'm glad this was it. I think it's heartbreaking but done tastefully. Definitely sad. Thanks for reading! Another great choice, Robert! Don Bluth really made some gems. Yeah his filmography is pretty impressive! Last film was that Titan A.E. movie though. :p Thanks for reading and commenting, Shane!